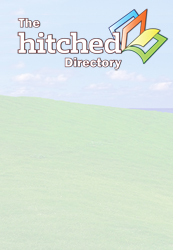 You may have noticed a change to the Hitched website this week. In a continued effort to provide you with the best marriage information on the internet—and to keep it free—we have partnered with Google to run microsurveys within their Google Consumer Surveys program as a key to unlock access to all of our content. This is in lieu of putting our content behind a paywall, which many other publishers have started doing and many more will do in the future. We believe this is a better option. Now, we don't want these microsurveys to be intrusive, which is why you won't always see them, and never more than once a day. The surveys will also never be more than two questions long. This may sound odd, but we are actually honored to be one in just a handful of publishers that are currently working with Google in this program, which makes you pioneering consumers who can trail blaze a proven path for continued free content on the web. So what the heck is a Google Consumer Survey? Well, first I want to highlight that your answers are anonymous and aggregated with all other anonymous answers to a particular question. These surveys are written and provided by market research firms, but again your responses are not connected with any information about you, and is not used to develop a profile or to deliver ads. With literally two clicks you will gain access to all of our content. Of course, we understand if you're not comfortable with this arrangement, which is why we also have the option for you to share the page on Facebook, Twitter or Google+ to also gain access. That's it. We want you to continue to get the best marriage information as quickly and easily as possible and we think by keeping it free and giving you access with just two simple clicks is the best path forward. If you have any questions or concerns we'd love to hear your input.